FAMILY-OWNED, BUNKER HILL VINEYARD AND WINERY PRIDES ITSSELF ON THE FACT THAT THEY ARE THE ONLY WINERY TO USE 100% RECYCLED WINE BOTTLES. At Bunker Hill Winery, things are just a little bit different. Well, make that a LOT different. 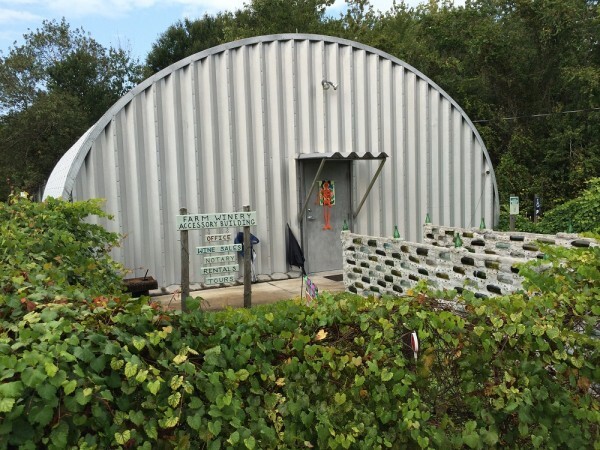 This family-owned sustainable winery in Parrish, Florida is serving up unique wines in eco-friendly packaging and sharing their commitment to the environment with every bottle bought. First of all, Bunker Hill Vineyard and Winery has never purchased a wine bottle. Ever. They pride themselves on the fact that they are the only winery to use 100% recycled wine bottles. Not just bottles made from recycled glass. Actual wine bottles from other wineries that have been sterilized and reused by Bunker Hill, which they estimate reduces their carbon footprint by 60 percent. Think there would be a shortage of wine bottles to be reused? Not so. The EPA states that roughly 70% of all wine bottles (nearly three billion) end up in landfills each year. Where do the wine bottles to be reused come from? 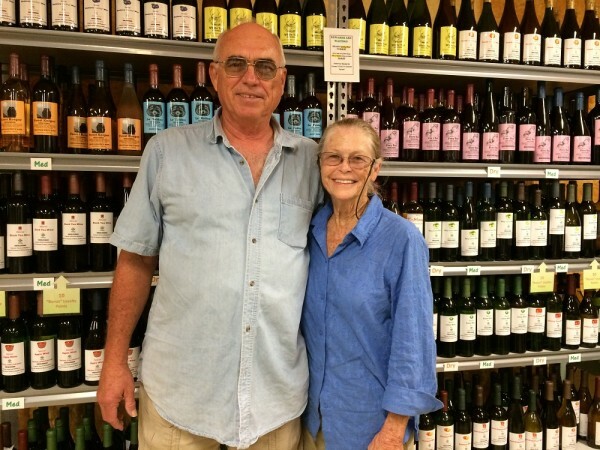 Visitors often bring in bottles for Larry and Lenora Woodham, the owners, to use. The Woodhams also will pay for the shipping for customers to send their empty wine bottles back to Bunker Hill Winery for reuse. They acknowledge that it’s not as cost efficient as buying new bottles, but it’s important to them to reuse products, rather than recycling the materials. The Bunker Hill Winery – both the tasting room and the ‘wine cave’ where the wines are stored – are located in two domed steel buildings. Neither building has windows, and the spay insulation is clearly visible inside. With Florida’s extreme heat, though, the Woodham’s wanted to be able to control the temperature in an energy efficient way. Windows would only increase the inside temperature. Larry is proud of the fact that when the buildings have reached their usefulness, they are 100% recyclable afterwards. The grape press is human-powered, only natural corks are used for the bottles, and even the sealing wax is reused from recycled wine bottles. Cardboard soft drinks cartons are repurposed into wine totes and carriers for customers. For the Woodhams, their winery is just as much about showing the world how eco-friendly practices are viable, as it is about creating unique wines. Bunker Hill Winery creates wines out of fruits, vegetables and other ingredients not commonly used. Yes, that’s right – vegetables made into wine! Bunker Hill uses locally grown grapes, Muscadines, that are native to the Southeast, unlike traditional wine grapes. All of the seven varieties of grapes are grown in their own vineyard, rather than importing wine grapes. In addition, they source produce from area farms, with 97% of the fruits and veggies coming from Florida. A bounty of produce grown in the Sunshine State creates unique flavors such as tomato wine, grapefruit wine, pumpkin wine, strawberry wine and even wine made from tea leaves – the only American winery to do so. Here’s a toast to Bunker Hill – a sustainable wine manufacturer, in every sense.
? 11 Things You Should Remind Yourself Daily The 239 Year Timeline Of America’s Involvement In Military Conflict ?